At the film screening on Tuesday. Robert F Kennedy Jr sparked controversy Tuesday when he compared childhood vaccinations to a holocaust. At a screening of the documentary Trace Amounts, the nephew of President John F Kennedy spoke out against a proposed bill in California which would make childhood immunizations mandatory – no matter what their parent’s personal beliefs on the vaccines. The documentary purports that there is a connection between thimerosal – a chemical found in several childhood vaccines – and a rise in autism among American children – despite the majority of the scientific community dismissing any connection. 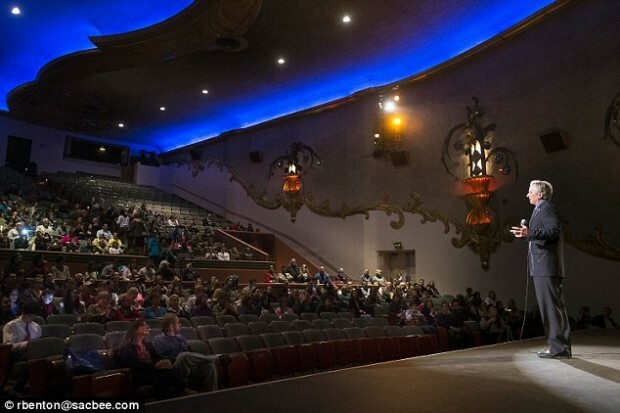 ‘They can put anything they want in that vaccine and they have no accountability for it,’ Kennedy said of the Centers for Disease Control and Prevention at the Crest Theater stage in Sacramento. There would be a huge increase in deaths from preventable illnesses if not for vaccines. (I would not use the phrase “Holocaust” as it implies a deliberate killing of people, and is not appropriate.) I have followed this debate carefully and the anti-vaxxers are plain wrong.